Wordless Wednesday – The Weinermobile! 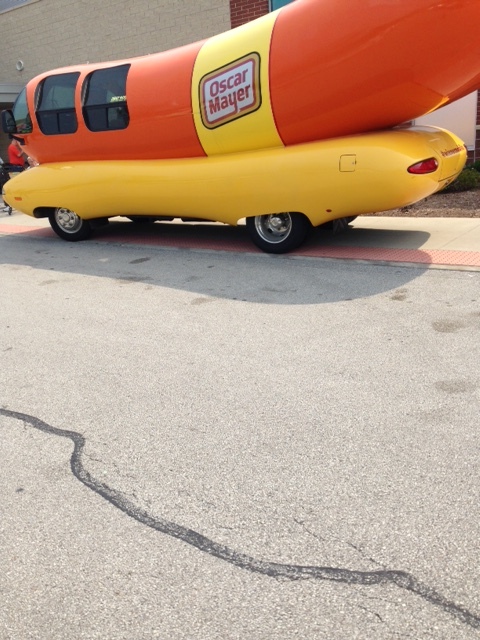 The Weinermobile was parked outside my grocery store last Friday! I’d never seen it up close before. Very cool! This entry was posted in Miscellaneous, Wordless Wednesday. Bookmark the permalink. Recipes that Remind Me of . . .